Do you want to be a part of the "Love Air Coffee" family? Tell us about it! Right now! Thank you for your interest in joining the LOVE Air Coffee Privat-Sale. We appreciate your support for our project. Allocation for the Privat-Sale will be by invitation. Please let us know a little more about yourself. The ability to adjust the intensity and degree of processing of raw materials that best meet the needs and taste preferences of consumers. Smoke pumping system ensures the safety of the best taste of grain. The main advantage of the blockchain is to optimize all internal processes of the company, information gathering, Analytics, product tracking, customer contact, privacy and much more. Through optimization, you can reduce costs, increase product quality and service. "Love Air Coffee" is a company that produces a real product and optimizes all internal processes from the very beginning with the help of blockchain. Blockchain technology is ideal for analyzing the market in a more detailed perspective. Directly accurate analysis of the implementation of a particular brand, showing decentralized trust in the brand. The blockchain system helps to control the authenticity of the product itself and its implementation, which first of all will give the consumer confidence in the reliability of the brand. A new trend in roasting coffee is the air method, which makes the taste of a drink made with such coffee softer, more aromatic and healthy. Previously, this technology was heavy and energy-consuming, then they invented drum roasting and air roasting went into the background. Now the level of technology has grown and this kind of roasting is beginning to gain momentum. On the technical side, this is a large range of regulation processes, due to which roasting coffee becomes much more extensive and thinner in terms of tastes. On the product side, such coffee is not in the smoke of its own burning, unlike drum, and has a pure taste and aroma. Such coffee does not beat on iron parts as in a drum toaster minimizing defects, which in turn saves trace elements and minerals making it more useful. Coffee is the second best-selling product in the world, there is always demand for it. Our product is roasted air better and tastier. People always strive for the best. The patent for the invention will be registered after detailed design. 360 tons is an indicator of one workshop. The company's strategy is not to have one large production, but to make a certain number of small, in order to create more jobs and create more efficient analysis to improve strategies and growth. The company "Love" supports the ECO standards throughout the world and is currently working on the development of disposable cups and lids. This product lacks all chemical polymers harmful to human health and the environment. Since the development of technology in the testing process and does not have a patent on the ownership, information about it is not disclosed. Blockchain technology is ideal for analyzing the market in a more detailed perspective, as well as controlling the authenticity of the product itself and its implementation, which will first of all give consumers confidence in the reliability of the brand. The token has a limited issue, the ability to buy goods directly from the shop, to receive a discount by paying a check at a coffee shop. The ability to track the quality of the product. Buying coffee from workshops directly for the LAC + token. Getting a discount when paying a check at a coffee shop. 1 billion over 5 years. To pay for the order, buy fresh coffee from the shop, get discounts by paying a check at the coffee shop. In our ecosystem, you can buy coffee from the shop only for LAC tokens, all points of sale will ensure the demand for a token. The demand for coffee increases - the demand for a token increases. LAC Tokens are available for ETH. At stage I, there are 2,000,000-10,000,000 LAC tokens. Yes there is! But we can not disclose this information until the end of the charges of the first stage. Token Sale has access to the world's largest database of token holders. They are free from competing currencies, banks and legal restrictions + everyone who wants can participate. Our Token Sale will be held in three stages. Our goal is to achieve maximum decentralization. Token Sale will not take place in a standard way, our goal is to achieve maximum decentralization. If in the first period the amount is collected more than necessary, then the tokens will be divided into% ratio and all the surplus will be returned to the accounts of the holders of the tokens. For stage I in Tallinn: 25 To Go, 5 Small kafe and 3 Chill place. There are no bonuses, but it is possible to freeze funds and get % in tokens. The first country will be Estonia - to improve the automation of processes. Then Finland, Sweden, Iceland, Norway, Denmark, Austria, Switzerland, Greece, Bosnia and Herzegovina, Germany, USA, United Kingdom. - These are the countries on which the main emphasis is placed. The rest of the countries can develop in parallel thanks to the franchise. Display of all indicators on the site (how much coffee is sold, monthly income, consumption growth, and others). Alarms bubble inflating Freezing team tokens and advisers until the next stage. Since 2013, the production of caffeinated roasted coffee has increased by 24.6% (from 3,657 tons in 2013 to 4,852 tons in 2016). Over the past 10 years, the level of coffee consumption in Ukraine increased by 23.6%. The main share of the entire world coffee market remains for instant coffee, which gradually creates a position, as the consumer strives to move to a more natural - natural product. 3 years, 5 year strategy suggests adjustments for 3 years (we can’t disclose the details). In addition to the classic advertising tactics in marketing strategy, most of it is occupied by its own platform. The platform will be interactive and create engagement as in the game, besides there is social service. Network and messenger that allows you to quickly gather your audience. The first is the new taste / flavor of coffee. The second is the ability to buy freshly roasted coffee directly from the shop. The third is a convenient application with an internal social network. Fourth, all processes are automated using blockchain technology. Head of Strategic Business Development. Head of the development of crypto technologies and blockchain. The head of finished business promotion. Head of the technical department. Advisor on the implementation of startup projects. Authentication and Authorization OpenId Connect. OpenId Connect OpenID Connect is the newest of the three, but is considered to be the future because it has the greatest potential for modern applications. It was designed for mobile application scenarios from the start and is intended for an API. API Access. Applications have two basic ways to interact with an API — using an application identifier. OAuth2 is a protocol that allows applications to request access tokens from the security token service and use them to communicate with the API. IdentityServer. 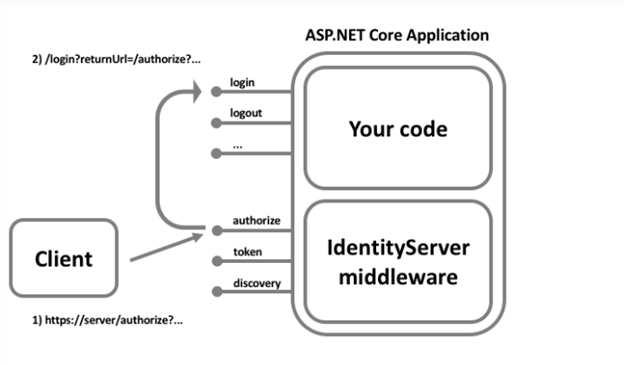 This is middleware that adds specification-compatible OpenID Connect and OAuth 2.0 endpoints to an arbitrary ASP.NET Core application. 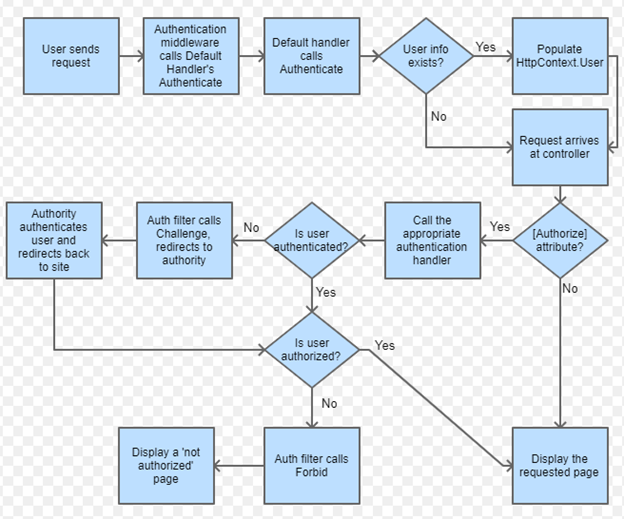 IdentityServer Schema Authentication Scheme. Kiev, st. Novokonstantinovskaya 15/15 "LatimCoff" or order through mail support@loveaircoffee.com. Embed the blockchain technology in the coffee industry, show the level and quality of the product, become number one on the market. Work business, beta versions of the platform and mob. applications. Yes, but, not we can disclose this information. There is no guarantee as in any startup, but you can minimize the risks of helping to develop the project. You do not have to believe us, we do not plan to deceive anyone. To do this, we have divided Token Sale into several stages and will collect in small parts, increasing trust in the project. Also, fees will be held on a smart contract, in case the required amount is not reached, all funds will be returned to the owners. The fundamental factor in creating a team is in trust and in the vision of the realized experience of each team member. Before forming a team, everyone observed the experience and progress of other team members, their results, mistakes, knowledge, experience, minuses and advantages - thanks to this, the team always helps each of the team members where he is less strong and entrusted to the area where he has a specialist. Our team is built on responsibility, trust and sincerity. Businessman. The owner of the network of coffee. More than 8 years of successful experience in the direction of the coffee business. Author of unique recipes for drinks and cocktails. An expert in the field of innovative technologies and development of equipment for workshops using the method of air-roasting coffee. He has many years of experience in the coffee business. Expert in digital economics and project management. More than 10 years experience in the field of business, company management and trading in financial markets, optimization and automation of business processes. Businessman, crypto trader, specialist in the field of blockchain technologies. Specialist in the development of software products and security technologies. Author of unique business solutions in the field of tender purchases and auctions. Founder of IT companies. More than 11 years of experience in the field of IT technologies. Specialist in conducting negotiations, creating business strategies and partnerships. Co-founder of the crypto exchange BTC-ALPHA. Businessman. He has 15 years of experience in the field of television, advertising, marketing and sales. Development and implementation of mass and public events. Organizer in the entertainment field. Solo vocalist since 2010, member of the group in 2013-2014. Experience of 12 years in the field of civil, economic, administrative, land, labor, family, tax law. Work with notaries and state registrars. Representation in the judiciary of all installations. Community Manager. Founder of Digital-Service. Financing startups. Coach in all areas of training for the Crypto industry. He has over 38 years experience in state-owned companies. She has held management positions in the field of financial operations, accounting and auditing. Specialist in the opening and maintenance of companies. Marketer, Consultant. Negotiator, integrated growth strategy. Creation and development of brands. The introduction of cryptographic technologies in the business, the conclusion of equal partnership agreements, supporter of decentralization. Developer of high-load WEB systems using the latest technologies. An expert and designer in the field of user interface development. Over 7 years of experience in IT. Knowledge of Android, SDK, design patterns, common Android libraries and architecture, scripting programming languages, principles of client-server model of application interaction. Very strong analytical skills. The ability to quickly examine the problem of any complexity. IOS application developer. Confident Swift ownership. Mathematician and technical specialist. An integrated approach to creating works of art in the development of iOS applications. In addition to knowledge of different languages ​​and work experience on different mobile platforms, there is web programming experience. Practical experience of over 18 years. Experience in analyzing and designing software solutions. Deep understanding of data design principles. Control of compliance with regulations for the protection of information in database management systems. Strong algorithmic training. Certified professional engineer who has enough knowledge and skills to apply engineering disciplines when creating software. Approach to software development from a scientific and engineering point of view. Practical work experience over 15 years. Web server administrator, DevOps Engineer. Specialist in the deployment of a software product on servers. Creating and maintaining a highly productive infrastructure. Stay up to date with upcoming events, get alerts to your email. If you have any questions, wishes or ideas, our team is ready to answer you at any time. We provide support in multiple languages. © 2018-2019 «LOVE Air Coffee». All rights reserved.